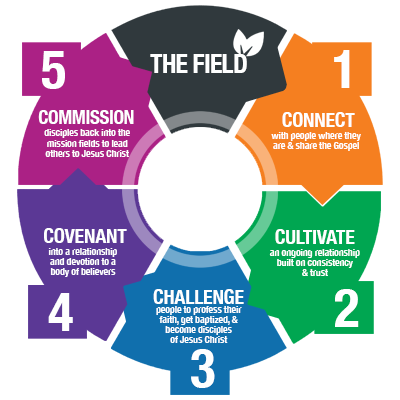 Our Process - EYES ON ME INC.
To achieve community transformation, we use what we call “The 5C Process”. First, we identify under-served communities in need (the FIELD) next, we aim to CONNECT with individuals and families living in these neighborhoods, CULTIVATE these newfound relationships by keeping a consistent presence in these neighborhoods, CHALLENGE individuals who show leadership qualities, build a COVENANT with them, and finally, COMMISSION these new leaders to begin their own ”5C” process. We have found this approach helps achieve a movement of multiplication. By training and empowering men and women who they themselves train and empower the next generation, we begin to see a culture shift and a new foundation being laid that produces positive role-models, productive citizens, loving family members, and community servants. We ​CONNECT with individuals and families living in areas that are typically low income, high crime, and under-served. We do this with outreach events such as our weekly Hip Hop Hope, In-school assemblies, and In-school mentoring. This helps to “break the ice” and gives us an opportunity to introduce ourselves to the community. We CULTIVATE these newfound relationships by keeping a consistent presence in these neighborhoods. To do this, we offer a variety of programs and opportunities for residents through our mission centers that include screen-printing, a music production studio, even a fitness center located in our multi-purpose facility in Brookshire, TX. CHALLENGE is where we identify individuals who show leadership qualities, are growing in their faith, and are hungry for mentorship. Our LORD training and DTS training are avenues we use to help these men and women identify their calling, develop their leadership skills, and strengthen their faith. As these individuals grow we begin to build a COVENANT with them. This leads to a higher lever of accountability and encourages them to remain steadfast in their devotion to becoming the leaders change in their community. We achieve this through discovery groups, life change groups, and our “Out Tha Box” church in-home gatherings. Finally, we COMMISSION these new leaders and send them back into the FIELD to begin their own”5C” process— sharing their faith with their community and seeking opportunities to become a mentor to others.